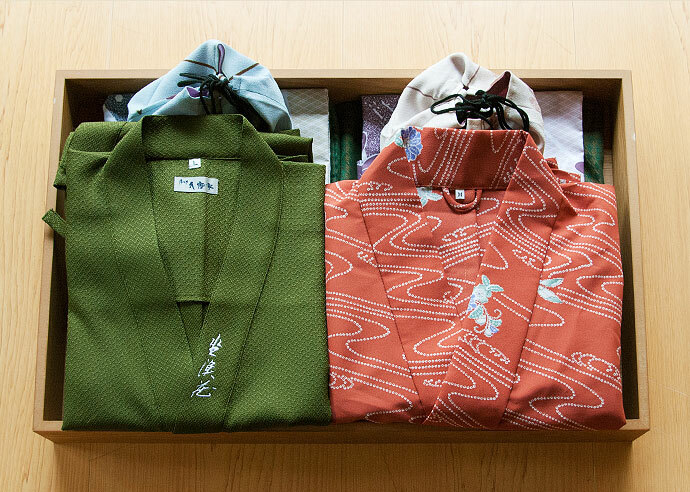 ensure that our guests gain a new experience each time they visit. The main building has 19 rooms, including accommodations with open-air baths, detached rooms, and rooms with a view of the Garden. 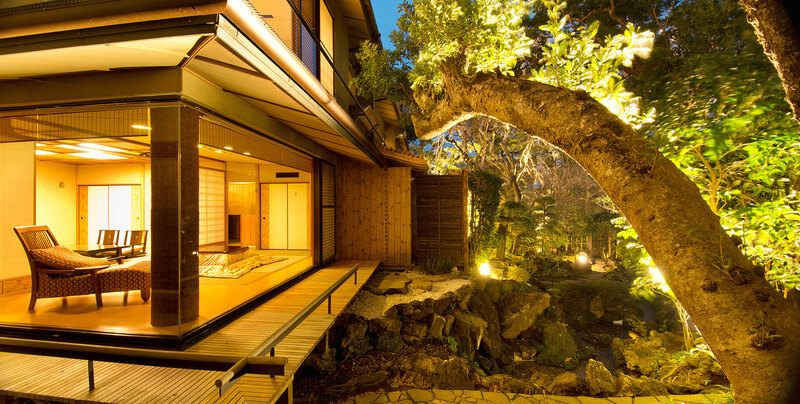 These rooms offer guests the luxuries of traditional Japanese architecture in a spacious and soothing atmosphere. 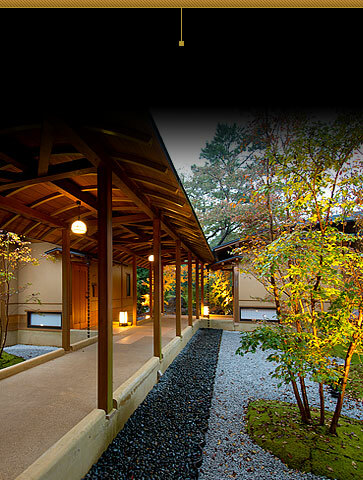 The south wing rooms offer cozy twin beds in a relaxed Japanese atmosphere. 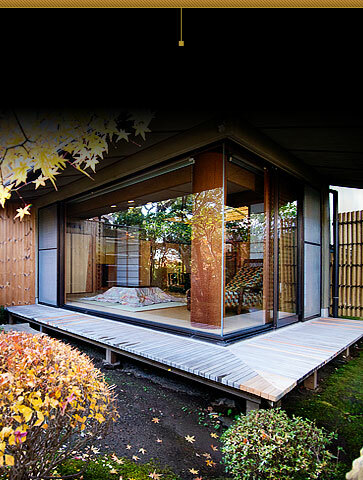 The two private suites stand alone and are surrounded by a tall hedge. You can feel the sunlit air and the highland breeze in this private villa-style space. The sparkling waters overlooking the spacious living room and the relaxing roof deck will calm your mind. Guests staying in the east wing can also ask for breakfast and dinner to be served privately in their rooms. Bedding is basically Japanese Futon mattress. The rooms on the first floor are equipped with an outdoor bath that interacts with the freshness of nature in every season. The room on the second floor is a space that is abundant in light and overlooks the bayberry trees in the garden. 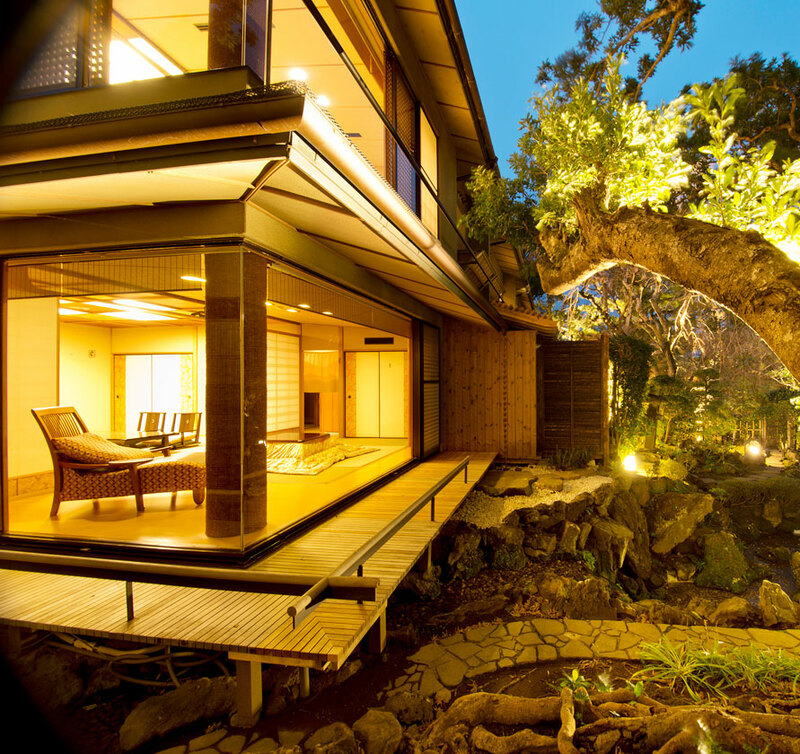 Feel light and breezy as you spend time relaxing while witnessing the transitions of the four seasons. 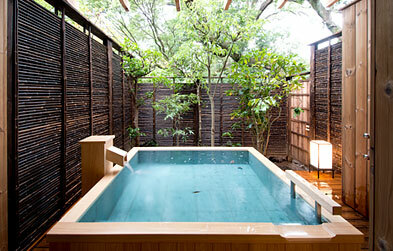 Over the bedroom with twin beds, space spreads to the wide edges of the floor to an open-air bath. 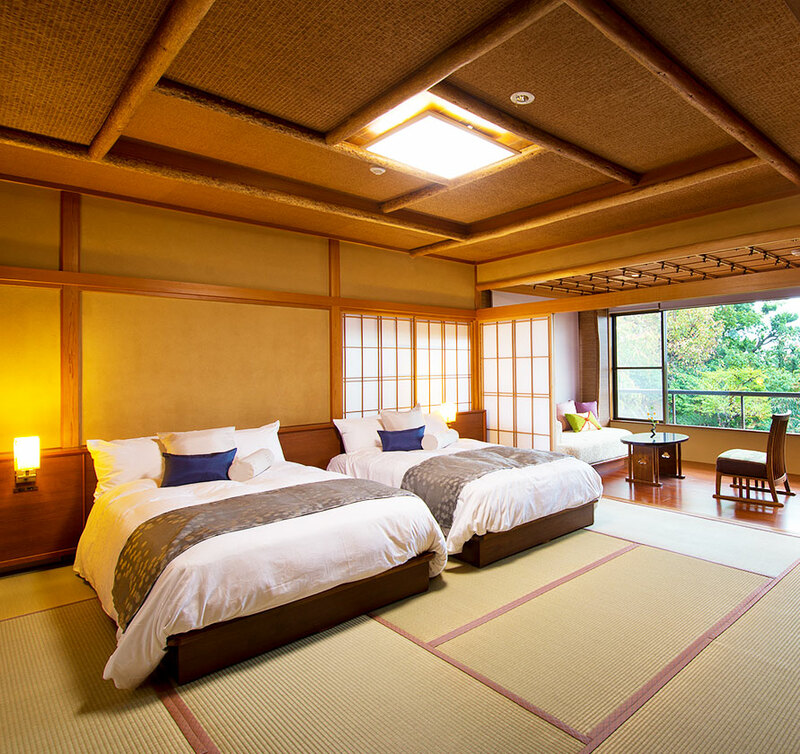 While staying in you traditional Japanese-style room, you can rest in your comfortable beds. 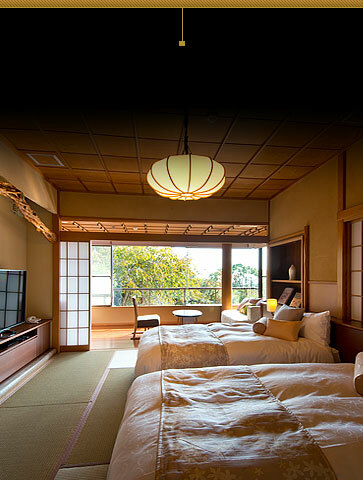 Some of the rooms on the second floor that are overlooking the Japanese garden have a view of the brilliant Sagami Bay. 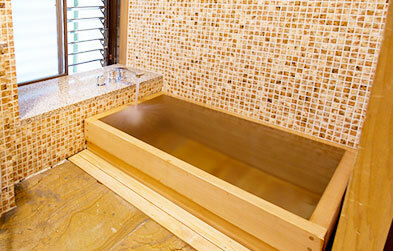 The rooms on the first floor contain a rock outdoor bath. 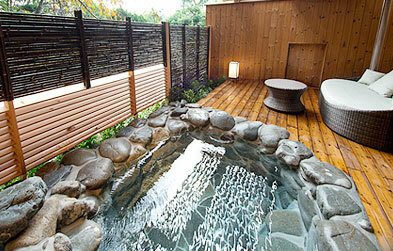 You can bathe as you feel the movement of light and air in the four seasons of Izu. 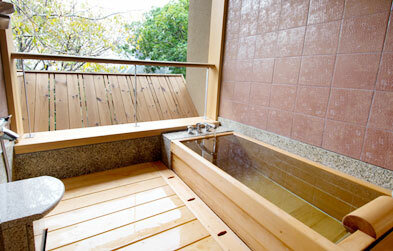 The room on the second floor has an indoor cypress bath. 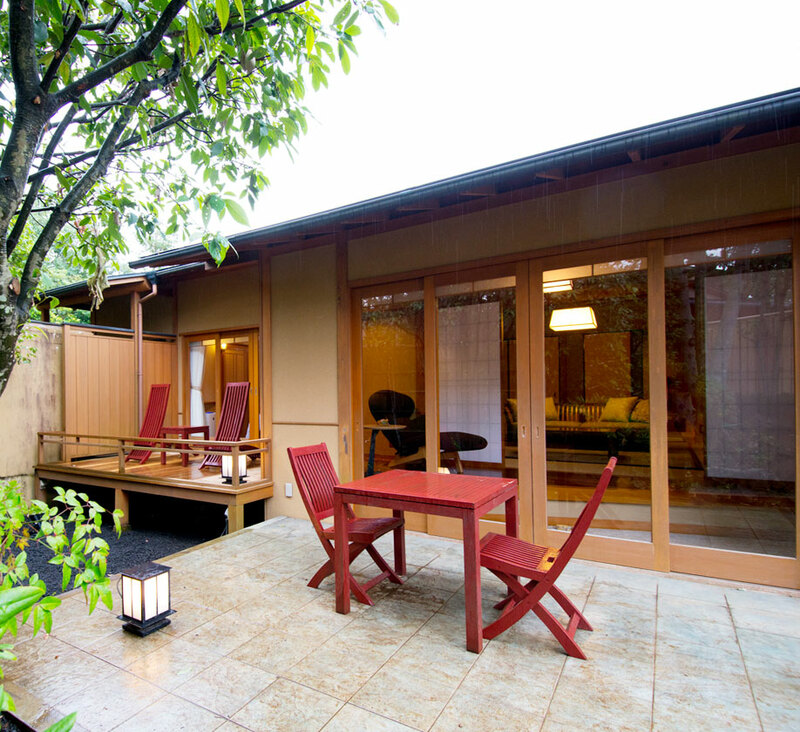 The private apartment is a single-family room enclosed in the green tranquility of the garden. Its living area and bedroom have garden views with a wide deck full of light and air.